Two isolated teens struggle against their complicated lives to find a true connection in this “timely and timeless” (Kirkus Reviews, starred review) debut novel about first love and the wreckage of growing up. 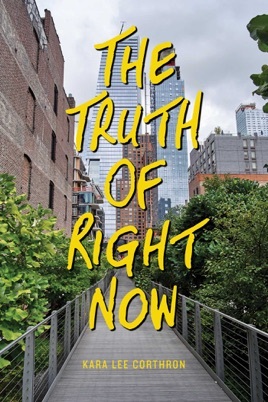 In this engrossing debut novel set in New York City, Corthron takes readers back and forth between the perspectives of two high school loners who are beginning the school year with a lot of baggage. Lily Rothstein, a white musician, is the school pariah, abandoned by even her best friends, though Corthron doesn't immediately reveal why. Dariomauritius "Dari" Gray, who is black, has an abusive father and his own history of rage, which he tries to escape by focusing on drawing and keeping to himself. Sparks fly when the two meet, and their conversations about family, race, and their difficult backgrounds light up the pages. Corthron carefully builds trust between Dari and Lily, but as the teenagers' pasts catch up with them, some late-breaking and scandalous developments, including the revelation of what has made Lily such an outcast, undermine the still-new romance and tenuous intimacy between them. While some of these dramatic twists feel rushed, Corthron marks herself as a writer unafraid of taking up difficult topics relevant to teens' lives. Ages 14 up.